The new zealand is a vast territory that requires time and ground transportation to be appreciated at its true value. Allow a minimum of one month to fully appreciate it, otherwise, you will only roll over again and again, without really enjoying the beautiful landscapes and the sweetness of life of certain corners. Which means of transport to use in New Zealand? We met a lot of campervans, motorhomes and other motorhomes that remain the preferred means of transport for tourists in this country. However, we have looked at the prices, and I am not sure that this is the cheapest form of transportation. While you save the price of a motel or hotel room, be aware that you can not land anywhere, and you will sometimes have to go to ” campgrounds ” or ” holiday parks ” for sleep quietly and avoid the fine of NZ $ 200 in case of illegal camping.Furthermore, it will still provide some stops in structures adapted to shower, fill up with water and electricity. The other solution is to rent a car and stop in “accommodations”: hotels, motels, backpackers or others. You will find in New Zealand all the international renters but also local less often cheaper renters . Go to their agency to negotiate live. Attention, beware of rentalcars that offer the best prices but know that you will be charged 2 times ! Once by rentalcars and once by the renter who refuses to leave you the vehicle if he is not paid. We were made 2 times and no answer from rentalcars to our mails, except that we will answer in 90 days but we have passed them for a long time …. As for camping cars, you will find tips on transfercar.co.nz . We found a vehicle to go from Wellington to Auckland, stack hair in our dates, for the price of gas only! Aires is the capital of Argentina. Like all major cities, it is organized in neighborhoods, has its monuments, museums and beautiful green spaces. Allow a week to fully appreciate this city. 1. Change your money on the street: myth or reality? This is not a myth, the “blue” change is very interesting for Europeans and Americans. Indeed, while banks offer you a change to 1 € for 10 pesos ARS, you will easily find people who offer very advantageous rates to 1 € for 17 or 18 pesos ARS. Thus, your purchasing power is almost doubled!!! Curious, we sought to know why the Argent ineans offered such interesting rates. It turns out that they have no confidence in their currency and prefer to own safe foreign currencies such as dollars or the euro. They are aware that by offering rates much higher than those charged by banking institutions, they can build a reserve of money that will not devalue . The government, having realized the danger of the situation, has put in place a system to prevent the delivery of dollars or euros to be withdrawn in cash at a counter. For Argentines, the possibility of having these currencies delivered, in case of a trip planned abroad, is subject to specific authorizations. You will be able to be delivered only pésos and to take advantage of the blue change , it is necessary to come with its own dollars or euros in cash. numerous public buses that crisscross the city and whose organization remains unclear. Indeed, each line number has several “sub-lines” whose terminus is identical but the different path. For example, bus # 39 has 3 “sub-lines”: 39-1, 39-2 and 39-3. The city has set up a bike loan system . This is a loan and not a rental . Unlike other big cities where bike rental may be impossible for tourists, the system in Buenos Aires is very simple. All you have to do is go to a loan point with a photocopy of your passport. You will be received by young people who will register you in the system. Then you simply go to any lending point in the city, give your passport number, your code and the number of the bike that is given to you. You will drop off your bike in any other loan point in the same way. Attention, this loan is limited to one hour. Public transport in Buenos Aires is mostly crowded, there is little seating. 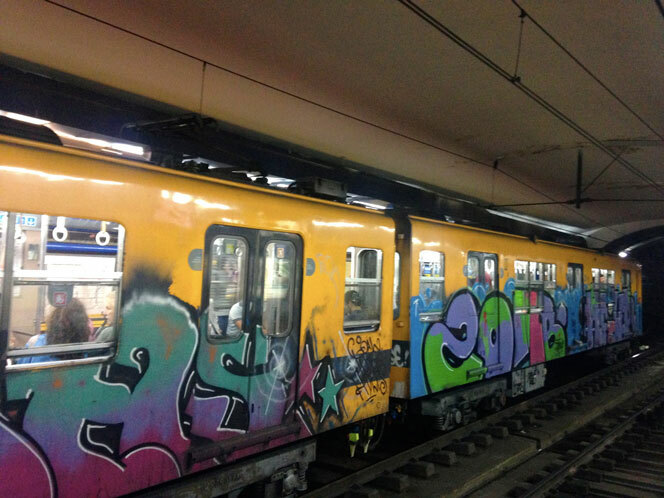 Beware, the metro lines close early , between 9:30 pm and 10 pm, which is inconsistent with the way of life of Argentines. However, buses run very late. You can buy single tickets, but the easiest way is to buy a rechargeable card that can be used in both the subway and the bus. The cards can be bought and recharged at the box office in the subway, on the bus or in SUBTE branches. 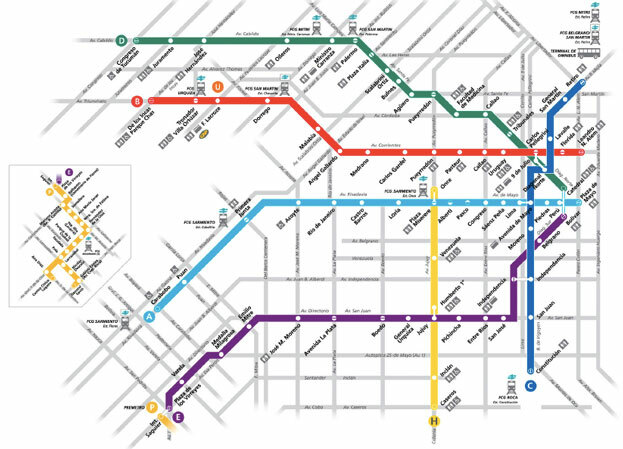 There are nearly 25 neighborhoods in Buenos Aires. Here is a brief description of the 7 most renowned. This district is known for its emblematic monuments such as the ” congresso de la Naciôn ” and the ” Palacio Barolo “, its ” Plaza de Mayo “, avenida de Mayo avenues and avenida Corrientes and its avenida Florida shopping street. “. The avenida 9 de julio is considered the widest in the world. La calle florida is a pedestrian shopping street very famousamong Argentines. You will find many brands as well as many Argentineans who offer you to change your dollars or your euros at very advantageous rates : listen (cambio) compare before concluding! Take a walk in the “Galeria Güemes”, emblematic building of the city housing a shopping mall and continue to the “Plaza San Martin” see the campanile . La calle Corrientes is a great avenue parallel to Avenida Mayo where you will find many theaters and bookstores. 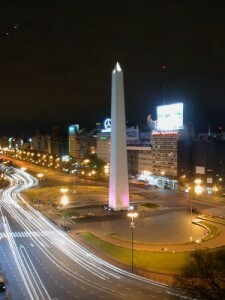 At the junction with Avenida 9 de Julio, you will find the obelisk . San Telmo is one of the oldest neighborhoods in Buenos Aires known for its antique shops and market , cobbled streets and low-rise buildings. 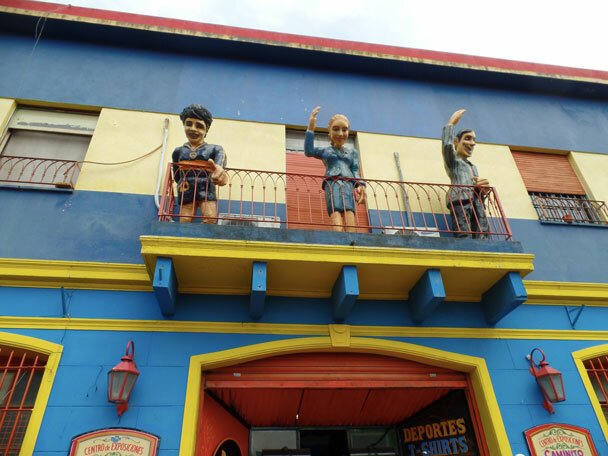 La Boca is best known for the ” caminito ” that boils down to 3 pedestrian streets whose colorful facades attract the many tourists from around the world. 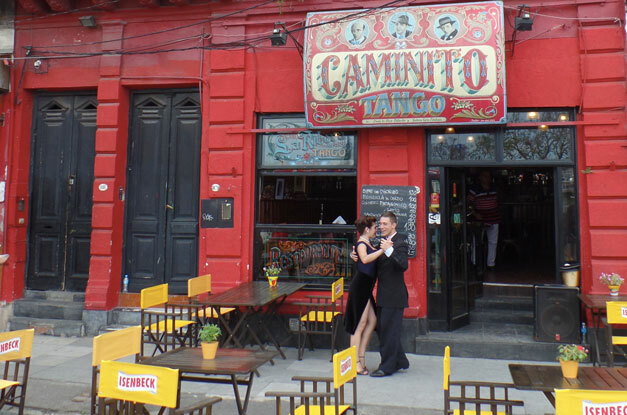 You will find mainly restaurants offering tango shows and many souvenir shops. 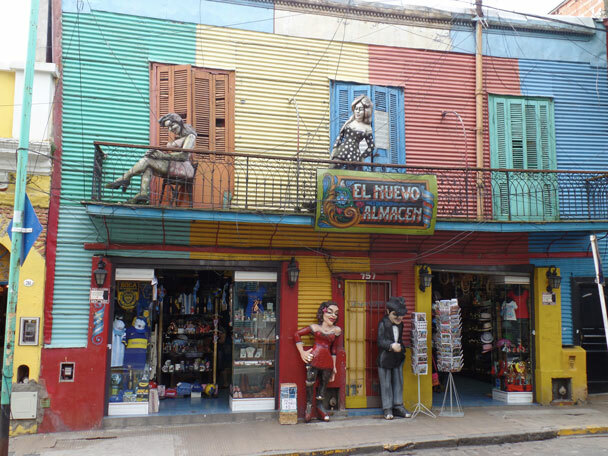 La Boca is also the district where Maradona was born and who has a passion for football. 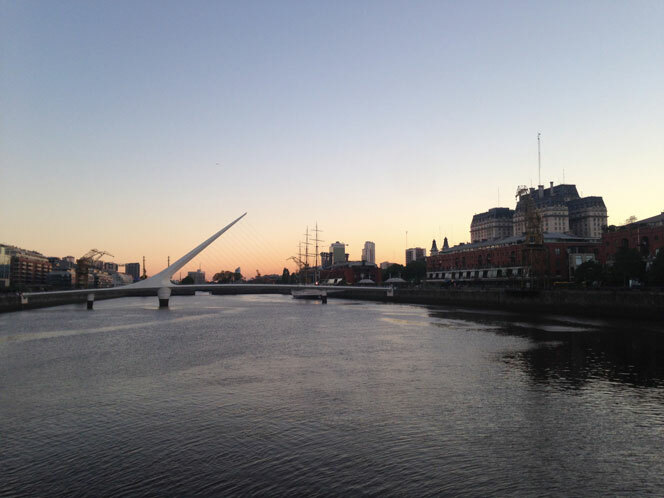 Puerto Madero is the newest district of Buenos Aires. This district, formerly reserved for the docks, was rehabilitated ten years ago and presents many constructions of famous architects whose ” puert of the mujer ” meant to represent a couple dancing the tango. This area is nice for walking and dining in one of the many restaurants on the docks. We particularly recommend the restaurant “cabañas las lilas”, certainly quite expensive, but perfect to taste the famous Argentine meat and spend an unforgettable moment. You will also find, in Puerto Madero, an ecological reserve of 360 hectares. 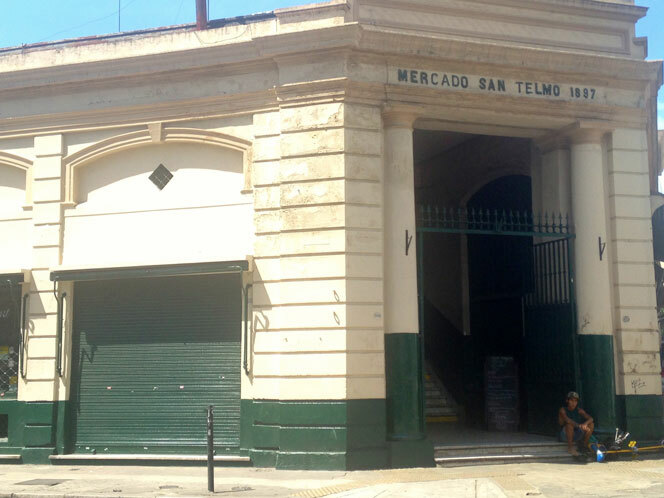 The barrio norte has 2 points of interest: Pequeña Paris and Plaza Fancia . Pequeña Paris is the upscale district of Buenos Aires located north of the city, in the Norte barrio. You will find the French and Brazilian embassies as well as many 19th century mansions. The Burllrich Patio is the most elegant and qualified shopping center of the city , housed in a building dating back to 1867. The Plaza Francia consists of a set of green spaces among which are the Museum of Fine Arts , the Faculty of Law and the National Library . Next to the Faculty of Law is the ” Floralis Genérica”, a steel sculpture equipped with an electric system that allows it to open in the morning and close in the evening.